The weekend of the 17th and 18th of Spetember, 2011, I went with Adventure Korea on the Sudeoksa Templestay Trip. 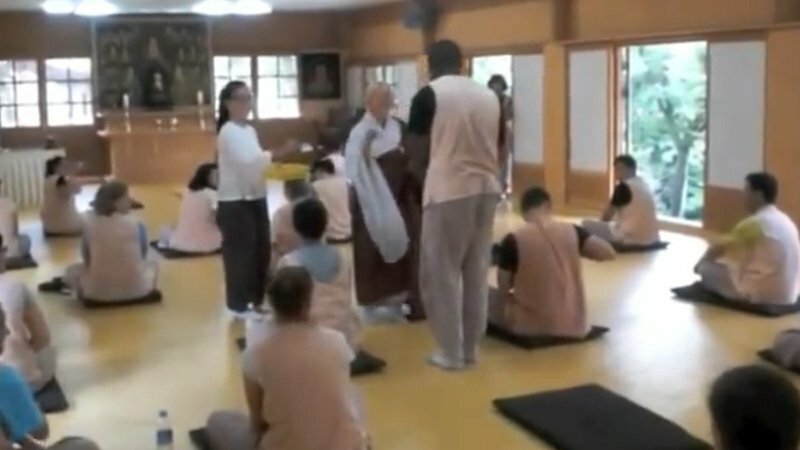 This video shows brief clips of all the events that we participated in during the templestay. The first day included 108 bows and prayer beads, doing our own dishes at dinner, and moonlight meditation. The second day included an early wake-up at 03:00, followed by more meditation, Balwoo Gongyang (발우공양) breakfast, and a hike up the mountain. On Sunday the 19th of June, I went to the DMZ (Demilitarized Zone) with Adventure Korea. This short “music video” just shows a small selection of what our group did on the trip. We went to Imjingak, Tongilchon, the Third Tunnel, Dorasan Observatory, and Dorasan Train Station before heading back to Seoul. We thought ‘what about we host pool party’ and then we also thought it would be great if there’s rock festival on the side!! That’s how ‘Water Park & Rock Festival’ was born.. 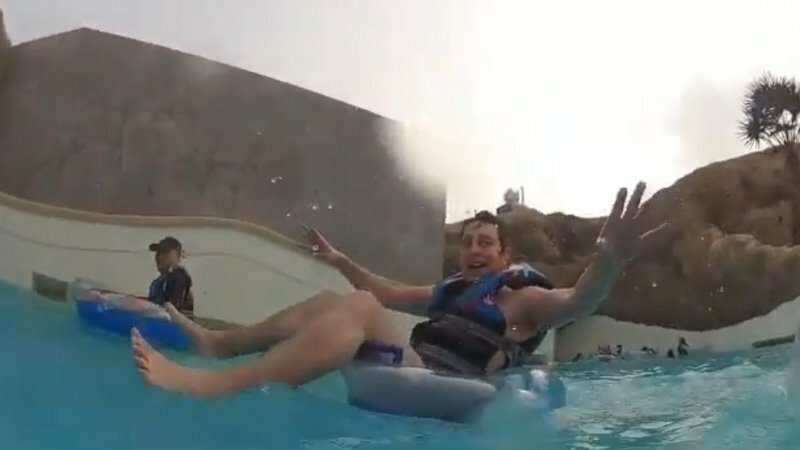 Check the water park.. it’s exciting and fun..
After water park time, you just change for Rock Festival competition at night!! The weather was awesome and the place was green and the stage was so huge!! Rock bands were happy and Adventure Korea members were happy too!! Water park and Rock festival!! There’s no combination better than this combination!! 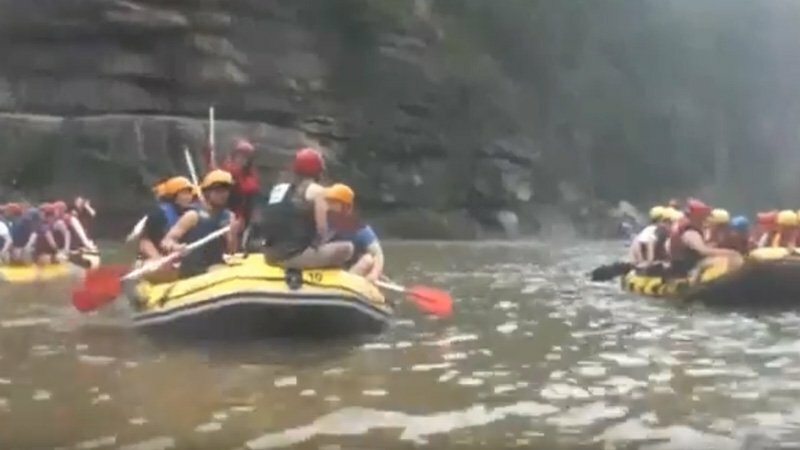 On Saturday the 2nd of July, I went rafting and bungee jumping along the Hantan River in Gangwon-do with Adventure Korea. This short “trailer” just shows a small selection of what our group did on the trip. We went down the river, through some rapids, and played some games before heading to the bridge for a 52M bungee jump! 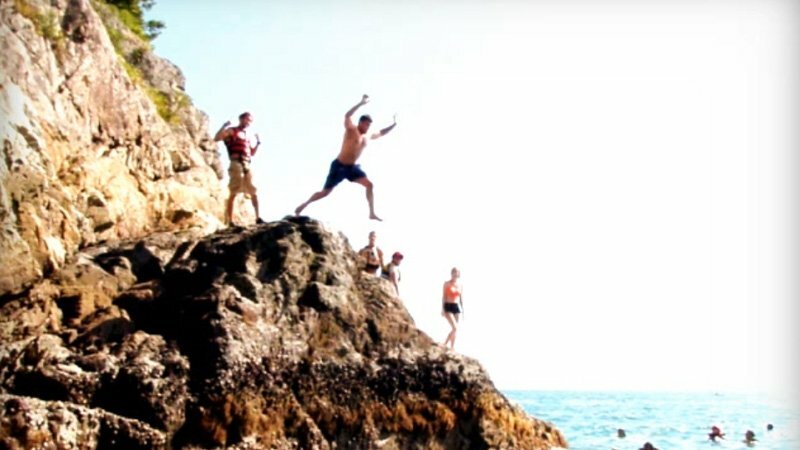 What about climbing rocks and jumping into ocean? 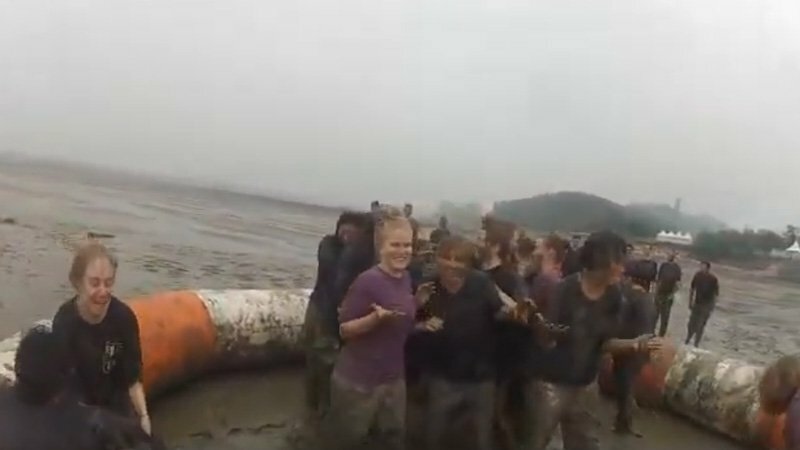 Now we can enjoy coasteering in Korea.. Adventure Korea developed it and proudly introduce it to you guys.. Check it out and enjoy!! 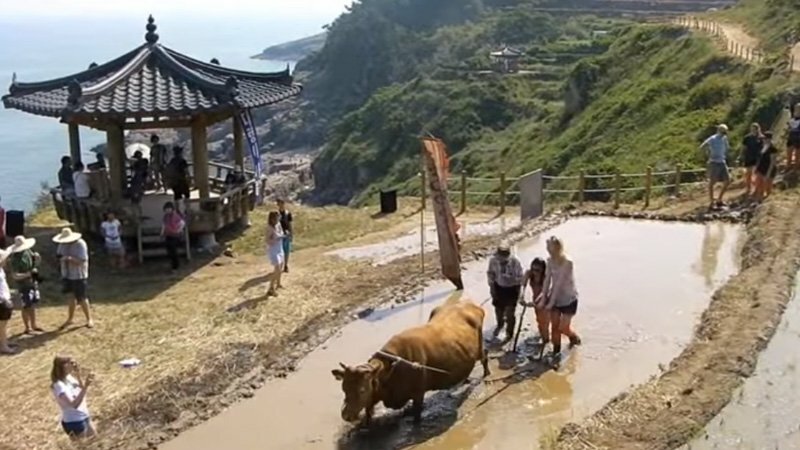 Now it’s 16th Boryung Mud Festival and as you know, the mus festival is the best festival in South Korea. 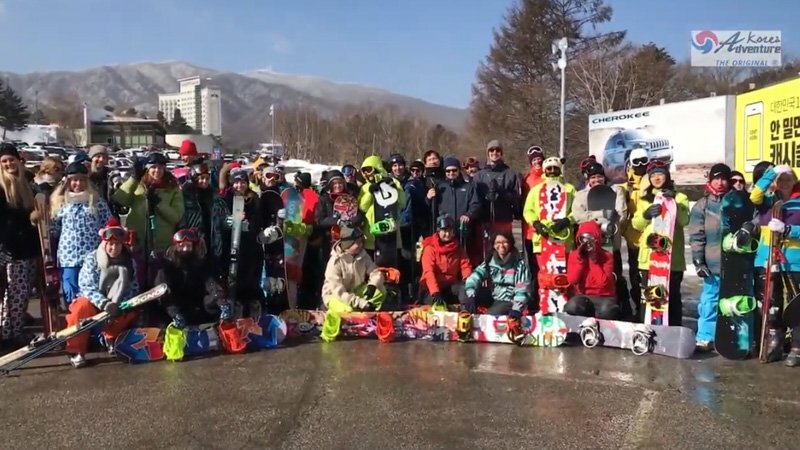 There are lots of activities during festival, but there is only one event that you can enjoy only with Adventure Korea. 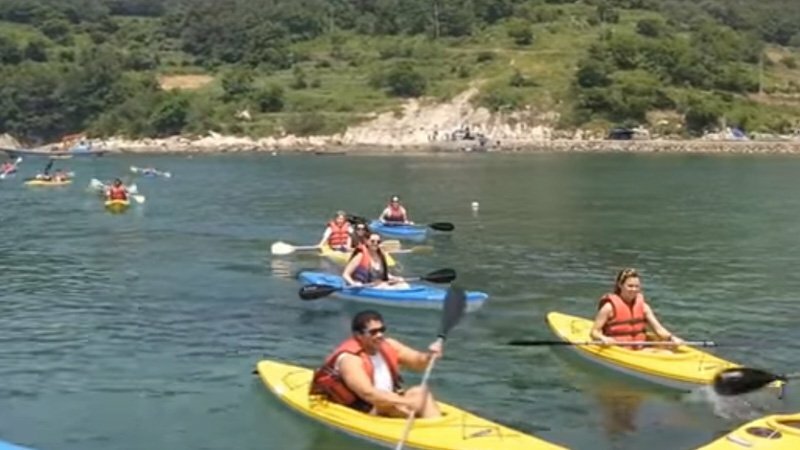 It’s Korea Marine style mud training experience..
It’s fun, exciting, and also tough..
Dumo village is a very famous village as a kayaking village! We started our first day of holiday with sea kayaking and deep sea fishing and finished the first day with bon fire beach party! !